Turkish police say prominent Saudi journalist Jamal Khashoggi was murdered inside the Saudi mission in Istanbul. Saudi Arabia denies. Turkish police have concluded that a prominent Saudi journalist, Jamal Khashoggi, was murdered inside the Saudi mission in Istanbul after going missing Tuesday, an unnamed government official said Saturday, according to AFP. "Based on their initial findings, the police believe that the journalist was killed by a team especially sent to Istanbul and who left the same day," the official told AFP. The news came hours after police confirmed that around 15 Saudis, including officials, arrived in Istanbul on two flights on Tuesday and were at the consulate at the same time as the journalist. 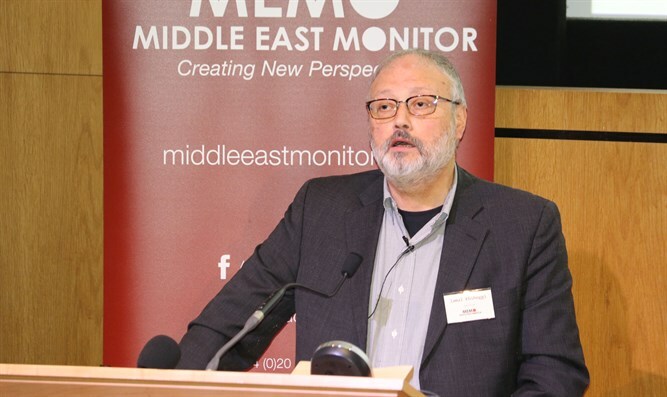 Khashoggi, a contributor to The Washington Post, "did not come back out" of the building, police had told the state-run Anadolu news agency. Khashoggi is a former government adviser who has been critical of some policies of Saudi Crown Prince Mohammed bin Salman and Riyadh's intervention in the war in Yemen. He has lived in self-imposed exile in the United States since last year to avoid possible arrest. In an interview with Bloomberg, the Saudi crown prince earlier denied that the journalist had been inside the consulate and said he was ready to allow Turkish authorities to search the building. A Saudi source at the consulate denied that Khashoggi had been killed at the mission, saying in a statement quoted by Reuters that the accusations were baseless. Saudi Arabia’s consul-general told Reuters that his country was helping search for Khashoggi, and dismissed talk of his possible abduction. The United States is seeking more information, a State Department official said. “We are not in a position to confirm these reports, but we are following them closely,” the official said, according to Reuters. Khashoggi’s disappearance is likely to further deepen divisions between Turkey and Saudi Arabia, which have been strained last year when Turkey backed Qatar after its Gulf neighbors, including Saudi Arabia, broke off relations and imposed an embargo on Doha. At the time, Turkish President Recep Tayyip Erdogan claimed that he has never known Qatar to give support to terror organizations and vowed to continue to back its close ties with Qatar.